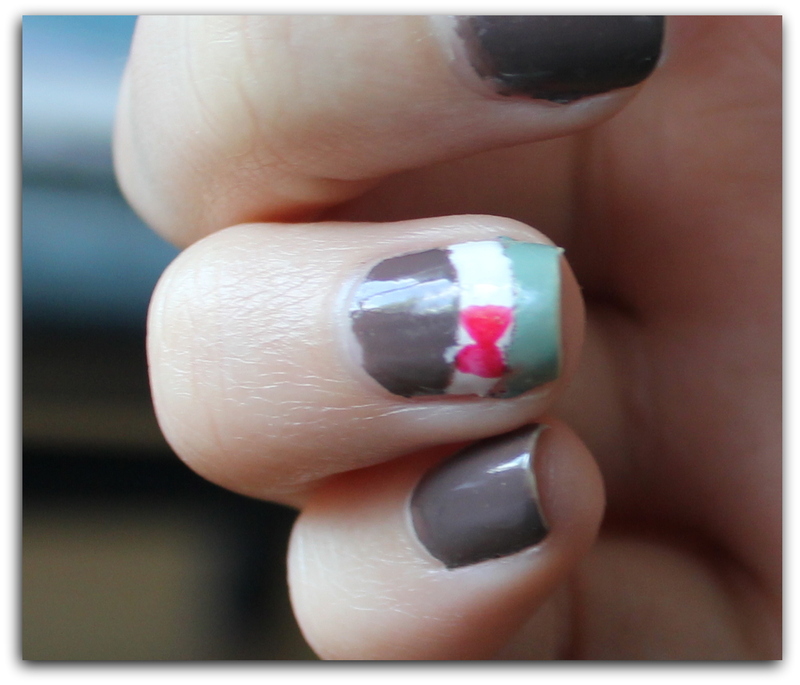 Just showing you some nail art I did with my new Izgo nailart design pens. Wearing Heavenly Mud [Tilly's], Thanks a Windmillion [OPI] & I white line I made with my Kiss nail art nail polish in the color white. 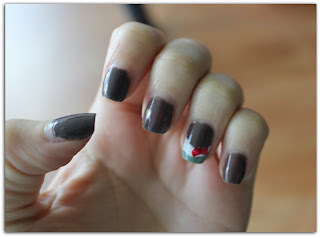 & I made the red bow with my new Izgo nail art pen.